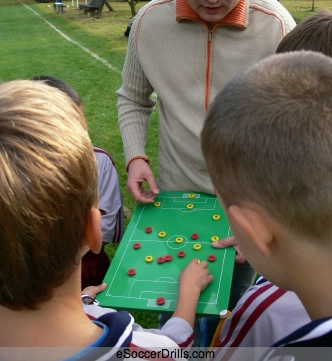 Soccer coaching is an extremely rewarding and fun experience for anyone who has had any involvement in soccer before. Even if a coach is new to the sport and simply helping out a local team, the fast-paced game, team camaraderie, and ability to help develop young people is a draw for many coaches to keep at it. So how does a coach who has no experience coaching kids soccer get started? Follow these simple tips to get your bearings and get started! 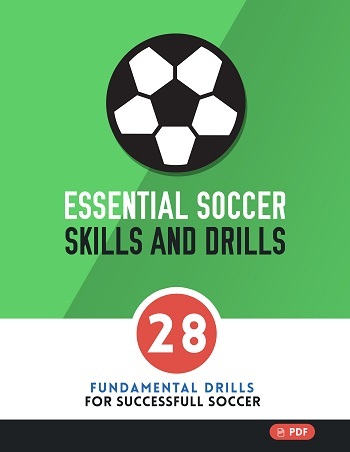 Soccer coaching requires the coach to understand the basics of the game. Depending on the age and playing level of the athletes, new coaches may not need to learn everything right away. They can study the basics by reading manuals on the rules, basics of the game, and penalties. Then, coaches can watch other games, either local or televised, to get a feel for the rhythm of the game. To get general tips on coaching, new coaches should consider resources like the American Coaching Academy, which provides training and certification in youth sports coaching. Sites like this prepare a new coach to take part in any sport and build the fundamental skills needed in dealing with youth in a sports environment. If young athletes think their coach does not know what he or she is talking about, they will quickly lose interest. To maintain control of athletes at all times, coaches need to project an image of confidence and competence. Even if the new coach feels in over their head, it is important not to show that to athletes or parents. To help fake confidence until the coach feels secure in the sport, they should always be prepared with an answer. Even if the answer is nothing more than, “We’re going to discuss that in a few minutes. Can you rejoin your group for now?” coaches are able to maintain control of the situation and buy enough time to devise a proper response to the question. Because soccer fields usually do not come equipped with many amenities, coaches should be prepared with everything they will need for practice. This includes soccer balls, protective equipment, fluids for hydration, first aid supplies, and cell phones or other communication devices. It is up to the coach and the league to decide who is responsible for protective equipment and bringing fluid for the team; some leagues like to let athletes take responsibility for their own gear and for bringing enough water. Regardless of the league’s determination, coaches should always have additional supplies on hand, especially if the team is of a young age and apt to forget. Soccer coaching is a demanding but rewarding experience. New coaches can find resources to help them learn the game and the basics of coaching online (like on this website! ), in a local library, or even on television by watching games. Coaches should work on projecting confidence as they get “up to speed” on the sport so as to maintain control of the team. Finally, new coaches should always come prepared with everything a team will need during practice, since soccer fields often do not have many amenities.